Are you stumped for what to get that person in your life who has everything? This holiday season, allow us to help you find the perfect gift: chiropractic. If someone on your list might benefit from chiropractic—ie, they have back pain, chronic pain, or anything in between—consider offering to pay for an office visit. This is a great way to surprise those who have never been to a chiropractor before and want to try it out. But how does one put together such a Christmas present? Whether you’re celebrating Christmas, Hanukkah, Kwanzaa, or any other gifting holiday this month, giving someone the gift of holistic health care is a brilliant idea. Why? For starters, most people have pain somewhere in their bodies that they’d like to be rid of without medications or surgery. The older we get, the more frequent pain may bother us. And it’s often in the muscles, bones, or nervous system—most Americans lead a sedentary lifestyle that allows important muscles to grow weak, leading to pain when doing something they’re not accustomed to. This type of pain makes chiropractic the perfect solution. Why? Because chiropractic is known as a musculoskeletal treatment: chiropractors adjust the spine’s vertebrae to bring balance to the body’s muscular and skeletal structures. This in turn relieves muscle tension and allows the body to heal itself more quickly. So who on your list needs a chiropractic office visit? Those who complain of back pain, those who have old joint injuries that flare up when it’s rainy, those whose necks and shoulders ache when they wake up in the morning. Got somebody in mind? Good. Keep reading. Once you’ve determined to help someone feel better through a chiropractic Christmas present, how do you set it up so that they feel comfortable going? 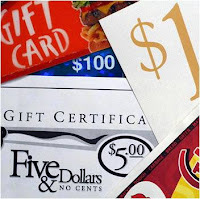 One idea is a “coupon” or personalized gift certificate that you make yourself. In it you can make the offer to pay for an office visit after that person goes to their first appointment. 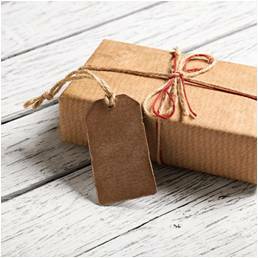 This way you can offer the gift without having to worry about logistics like insurance claims or the price of the visit beforehand. Then your loved one can present you with the coupon for redemption once they’ve made an appointment (many offices are just like a doctor’s office—for payment, you can pay cash for an uninsured visit; the co-pay on an insurance policy; or, if you don’t have a co-pay, have it billed to the insurance company and the balance request mailed to you). Or, you can add money to the hand-made coupon. You can call and ask the office of a reputable chiropractor (or your own chiropractor) like the Dr. Gil Center in Franklin, TN to tell you the price of an uninsured visit and include that amount as your gift “certificate”. More and more chiropractors are being covered by mainstream health insurance these days, so you could have your loved one check their health insurance policy to see if they give an estimate on chiropractic visits, and include this possibly reduced amount. As you can see, there are lots of ways to go about presenting (wink, wink) chiropractic at the holidays. Have you ever given anyone the gift of healthcare? Honestly, chiropractic isn’t the only type of office visit you could cover in a Christmas present. Massages and acupuncture sessions are also probably most welcome. We all need a little relaxation and release of muscle tension in our lives! So have you ever given the gift of healthcare? Or chiropractic even? How did your loved one respond, and how did you present it? Let us know in a comment!